As monsoon looms over Manikganj, Bangladesh the boat makers in the district have been very busy building boats which are widely used as vessels in rural areas during this season. The demand for Dingi and Khosa Nauka (small boat) has increased for regular movement of people in flood-prone areas here. A normal quality boat is sold at BDT Tk 2,500 to 5,000. 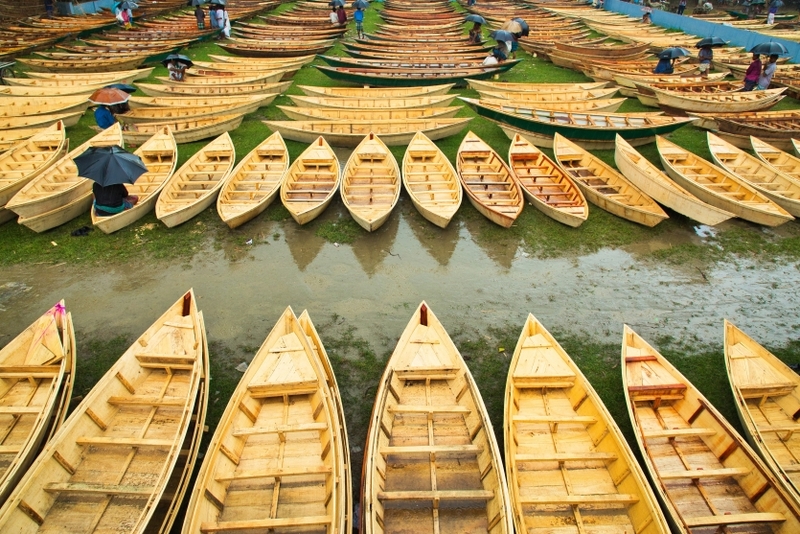 Buyers from outside the district, including Savar and Aminbazar of Dhaka, throng Ghior haat to purchase boats.